Often times, when a loved one is ill or in need of round-the-clock home care, family members within the household take on the responsibility. However, especially when long-term care is needed, such an arrangement can induce strain on family relationships and general stress within the household. The type of strain that wouldn’t be a factor if the care was being provided by a paid professional. Finding the right caregiver for your loved one can make a major difference in your quality of life. A well-qualified caregiver can give you piece of mind that your loved one’s needs are being met on a regular basis while allowing you more time to deal with work, social, and personal tasks. Furthermore, the right caregiver will bring specialized skills to the table, allowing your loved one to receive aspects of care you may not be able to provide personally. Most importantly, the right caregiver fits into your life smoothly. They respect your time, familial ties, and preferences in a way that leaves you feeling secure and comfortable in their care. At the end of the day, the right caregiver makes life easier for their charge and the family as a whole. That’s why it’s important to know how to find the right caregiver for your needs. Luckily, finding the right caregiver only requires a few simple steps. Review our previous post for a few easy tips to follow to find the ideal caregiver. The Art of Finding the Right Caregiver is a guide to help you understand the process of hiring caregivers whether you choose to use an agency like Family Best Care or hire directly. Get your copy on Amazon. Finding the right caregiver can seem like a daunting task, but once found caregivers often eliminate many of the stresses of caring for an elderly or ailing loved one. However, finding the right caregiver presents its own set of trials and can be confusing the first time around. 1. Determine your needs and preferences. The first step to finding the right caregiver is assessing your home care needs and preferences. Home care can take a variety of forms – personal care, household care, health care, and emotional care. Deciding where you need help will aid you in getting the kind of caregiver you need. Are you looking for assistance with personal care like bathing, eating, and toileting or do you need someone with household care skills like cooking, cleaning, and laundry? Furthermore, what preferences does your loved one have regarding the gender, cultural background, and age of the caregiver? 2. Know your financial obligations and forecast the care progression. Once you’ve accessed your needs and preference, take the time to familiarize yourself with your budget and financial obligations. Hiring a caregiver often means you’re responsible for handling tax related issues as well as benefits. Be sure you’re clear on what’s expected of you before hiring help. Furthermore, determining the expected length and progression of care can help you be prepared to adjust your budget should timelines or care requirements change. 3. Craft a thorough job description and clearly communicate your needs to prospective caregivers. Once you’ve accessed your needs and preference and made sure you’re aware for your financial obligations, take the time to write out a job description that clearly articulates the tasks you’re seeking help with. Be sure to include important factors like language skills, the ability to work specialized equipment, work hours, and expected pay rate. This way your applicants have a solid understanding of the position and you won’t need to waste time constantly answering basic questions about the job. Many communities have local resources that can assist you in finding in-home care or will allow you to post your newly crafted job listing. Identify sources that you can utilize throughout your search and refer to them regularly. While you don’t have to hold face-to-face interviews with every person who applies for the job, you should always screen the individuals under consideration before offering them the job. Be sure to discuss expectations from both sides (the applicant and the hirer), and include questions that give you a peek into how well the caregiver is likely to fit in within your home environment. Be sure to inquire about special skills, standard work hours, holiday coverage, and anything else you believe to be important. Once you’ve narrowed down your applicant pool to the top 1-3 choices, you may want to follow up with their references, check their licenses, and do a general background check. Don’t be afraid to dismiss candidates whose history raises red flags for you. Once you’ve hired your preferred candidate, spend the first couple of weeks monitoring their work and providing feedback. They can’t be the best caretaker for you if you don’t tell them how! Following these few simple steps will help you find a responsible home caregiver with minimal frustration. 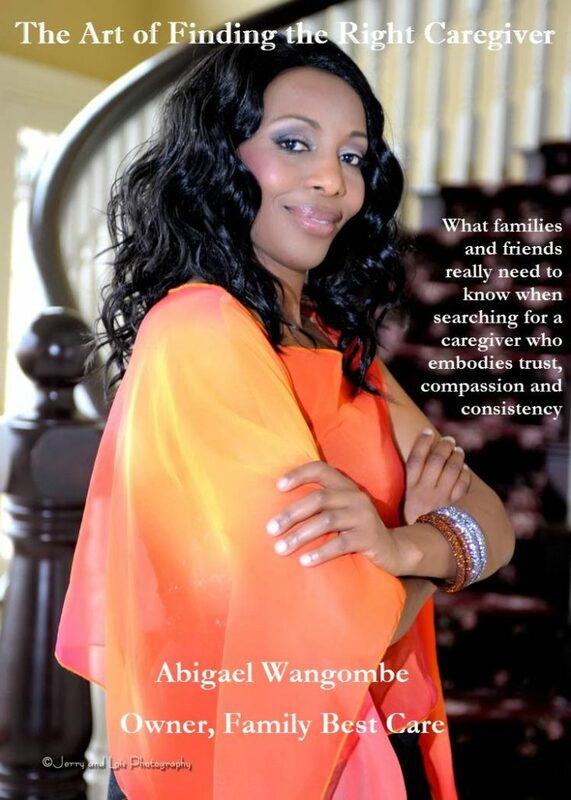 If the process still seems daunting and confusing, check out Abigael’s easy-to-understand guide, The Art of Finding the Right Caregiver (available on Amazon). Her e-book guides readers through the entire process, from determining their needs and priorities to attracting, vetting and selecting caregiver candidates. She also includes helpful questions to ask during interviews and screening, sample documents to use and much more. She lays out the entire process for you, all you have to do is follow the steps! Every year, more than 4 million people in the US are treated from a fall related injury. We recognize the importance of specialized care for these patients and have developed training, oversight, and procedures to help our seniors remain home safely. Caregiver Orientation– Bring the caregiver to meet the patient at your facility, this way everyone is on the same page, ensuring a safe transition home. Caregiving can be an extremely challenging job, so it’s no wonder that many people opt to hire private caregivers to help with the constant supervision and assistance with everyday activities that your loved one needs to remain active. The housekeeping routines and standard errands that accompany day-to-day life can become overwhelming to those that lack the support of a professional caregiver. Private caregivers offer additional support, allowing the family a break from many of the hardships full-time caretaking produces. However, bringing in a private caregiver presents its own set of questions and can be scary or confusing for those who are new to the process. Once you’ve accessed your needs and preference, take the time to familiarize yourself with your budget and financial obligations. Hiring a private caregiver versus one from an agency often means you’re responsible for handling tax related issues as well as benefits. You have the option of bringing in a private caregiver as a full employee or a contractor. Each designation comes with its own set of financial and tax obligations. Be sure you’re clear on what’s expected of you before hiring help. While you don’t have to hold face-to-face interviews with every person who applies for the job, you should always screen the individuals under consideration. Make sure to offer a clear description of the job, discuss expectations from both sides (the applicant and the hirer), and include questions that give you a peek into how well the caregiver is likely to fit in within your home environment. Be sure to inquire about special skills, standard work hours, holiday coverage, and anything else you believe to be important. While most agencies screen their employees to assure you’re getting a highly qualified individual, when hiring a private caregiver this responsibility falls to you. Keeping these few simple things in mind will help you find a responsible private caregiver. If the process still seems daunting and confusing, check out Abigael’s easy-to-understand guide, The Art of Finding the Right Caregiver. Her e-book guides readers through the entire process of hiring quality help, from determining their needs and priorities to attracting, vetting and selecting caregiver candidates. She also includes helpful questions to ask during interviews and screening, sample documents to use and much more. Abigael lays out the entire process for you, all you have to do is follow the steps! If you’ve spent any time caring for a loved one, you know care-taking can be a challenging and draining job. Most family caregivers reach a point when they realize they could use some help. When you find yourself struggling to keep up with the constant supervision and assistance with everyday activities that your loved one needs or the housekeeping routines and standard errands that accompany day-to-day life, it may be time to find a respite caregiver. Respite caregivers offer additional support, allowing the primary caregiver a break from many of the hardships full-time caretaking produces. However, finding the right person can be scary and confusing for those who are new to the process. 1. Assess your home care needs and preferences. The first step to finding great respite care is assessing your home care needs and preferences. Home care can take a variety of forms – personal care, household care, health care, and emotional care. Deciding where you need help will aid you in refining your search. Are you looking for assistance with personal care like bathing, eating, and toileting or do you need someone with household care skills like cooking, cleaning, and laundry? Furthermore, what preferences does your loved one have regarding the gender, cultural background, and age of the caregiver? Once you’ve accessed your needs and preference, take the time to write out a job description that clearly articulates the tasks you’re seeking help with. Be sure to include important factors like language skills, the ability to work specialized equipment, or any other special skills you’re seeking. While you don’t have to hold face-to-face interviews with every person who applies for the job, you should always screen the individuals under consideration. Make sure to offer a clear description of the job, discuss expectations from both sides (the applicant and the hirer), and include questions that give you a peek into how well the caregiver is likely to fit in within your home environment. Following these few simple steps will help you find a responsible respite caregiver with minimal frustration. If the process still seems daunting and confusing, check out Abigael’s easy-to-understand guide, The Art of Finding the Right Giver. Her e-book guides readers through the entire process, from determining their needs and priorities to attracting, vetting and selecting caregiver candidates. She also includes helpful questions to ask during interviews and screening, sample documents to use and much more. She lays out the entire process for you, all you have to do is follow the steps! Often times, when a loved one is ill or in need of round-the-clock home care, family members within the household take on the responsibility. Having someone that you know and trust, facilitating your care is understandably a logical route. And from the perspective of the family member who acts as the caregiver, it makes sense that you would initially want to support your ill or injured relative however you can. But, especially when long-term care is needed, such an arrangement can also induce strain on family relationships. The type of strain that wouldn’t be a factor if the care was being provided by a paid professional. When making the decision about who will aid you or your loved one with home care, here are some factors to take into consideration. A relative may not charge you as much as a professional, or anything at all for that matter. Choosing them over a professional will almost always save you money. On the other hand, the caregiver may loose valuable time for education, work, other relationships, or hobbies, without fair compensation; This could lead to bitterness on the caregivers end. It could also decrease the caregiver’s desire to spend quality time doing other fun or typically enjoyable activities since they feel more obligated to “work” for the family member in need of care. The relative receiving care may also develop negative feelings towards their caregiver or themselves if they begin to feel like they are viewed as a “job” or a nuisance to their loved one. In some situations, families do not have the resources to hire outside help, but if it is an option, you should definitely consider if quality family time is more important than the money that can be saved. This is a very tricky thing to consider, as the comparison can be reversed to favor the family member in some cases, and the paid professional in others. It depends entirely on the individuals involved. In some cases, someone in need of care can be more comfortable with receiving their care from a loved one they personally know. They may trust the care and discretion of a family member over a stranger who is only providing assistance for a paycheck. Again, these attributes could be found more so in the professional or the relative, depending on the individual. Some family members will be more attentive, careful, and thorough simply because they are more invested in the patient. On the other hand, a professional who has been adequately trained and experienced will more often, be more competent in executing tasks that they do for a living. A professional is also held to stricter standards and risks losing their credibility if they are not competent at what they are paid to do. Providing assistance to someone that you personally care about (or receiving care from someone that you care about) will commonly mean that more feelings are involved, whether good or bad. Having a hopeful, upbeat, and positive family member administering care could help the patient to feel better overall. Unfortunately, when the related caregiver and patient are at odds, healthcare related or not, it can result in the caregiver performing poorly or the patient becoming more pessimistic. Family members may also have a more difficult time coming to terms or communicating facts with each other. If a patient is not putting forth their best efforts, or if “bad news” needs to be communicated on either end, family members will typically have a more difficult time communicating that to one another. So before volunteering to provide care for a loved one, or asking a loved one to help care for you, consider the effects for both the patient and the caregiver. It is important to deeply reflect on the pros and cons of hiring a professional, as it will affect the whole family. Many of our clients are successful business owners, contributing to society by meeting its needs, offering value and support each and every day. Behind every success story there are those who gave them the strength to keep pushing forward. The support provided by loving families is irreplaceable and it’s important to remember that they’re the first ones who believed in you and trusted you. At Family Best Care, we strive to do more than simply provide quality home care. We offer compassion, preserve dignity and work hard to build trust with our clients and their families. These core values guide our working principles every day, and we consider our clients family. Our trained professionals go through a rigorous screening process to ensure only the best level of care. We offer several levels of care ranging from personal care, senior services, household assistance and more. Each of these offerings incorporates our focus on making sure our clients receive the best care possible that suits their needs. Is Home Care for Everyone? Home care can go a long way in providing support and maintaining independence for a family member. And because it takes many different forms, home care can be tailored to best fit your needs. But what if home care isn’t for your family situation? There are times when it may not be the best choice. Planning care for your family member can be an overwhelming task. Many individuals who have been thrown into the role of caregiver for a parent or spouse find themselves lost in questions of costs, procedures, security, and more. Fortunately, Family Best Care is here to accompany you in that difficult time and make the best decision for you and your family member. Our qualified and empathetic staff can help you navigate your options. Want to find out if home care is right for you? Contact us for a free consultation and we can help you decide. We know you care about family, and so do we. Here at Family Best Care we are committed to providing outstanding care and support. Our team of professionals are hired based on their sincerity and desire to care. We see our patients as our family, and that makes the difference when giving the dignified attention need to live happy and fulfilling lives. No two people are the same and that is why we specifically tailor our wide range of services to our individual clients. Our diverse team is comprised of registered nurses, licensed practical nurses, homecare aides and live in caregivers, all with years of experience and a passion for helping. It is not just the lives of our patients that are important to us, we realize that family members and friends can need a little care too, and we create a plan of action that takes everyone into consideration. So if your loved one is in need of some extra support to enrich their lives, we will always be right there with you, whether it be short term or longer support at home, there is nothing we cannot handle together. Call today for you free consultation. Caring for a family member is arguably the ultimate act of love. However, it can be a round the clock responsibility; physically draining and emotionally demanding, but so many of us do it out of love, duty or responsibility. Being a care-giver can trigger changes in family relationships. You might be caring for a parent, where roles have reversed completely. Treating a parent like a child in terms of care can be devastating, and it is important not to become overly controlling or make them feel useless. It is very common to feel a sense of loss. A relationship that once involved traveling together, sleeping together and partying together, changes totally. Managing the loss is important, and changes must be made. Reading together, talking, playing games to keep minds active suddenly become the norm. Don’t worry, there is help! At Family Best Care, we understand that dignity, compassion and trust are vital when professional help is needed. We know that you want to care for your family member, but sometimes need a little help, or even some respite to re-charge your batteries and have a rest. We have a range of services to help you, the carer, and your relative.